Mark your calendars for FocusNY 2019! 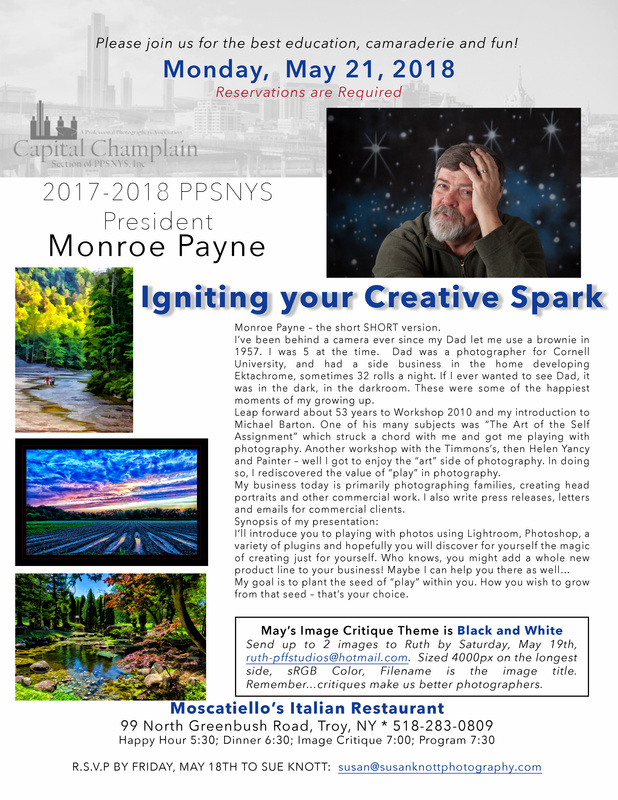 You will want to be at our next meeting to hear what Monroe has to share about getting creative with your imagery. While you are at it, let’s get creative with our image critique theme…”Black and White”. Looking forward to this one! FocusNY convention is just 2 weeks away! 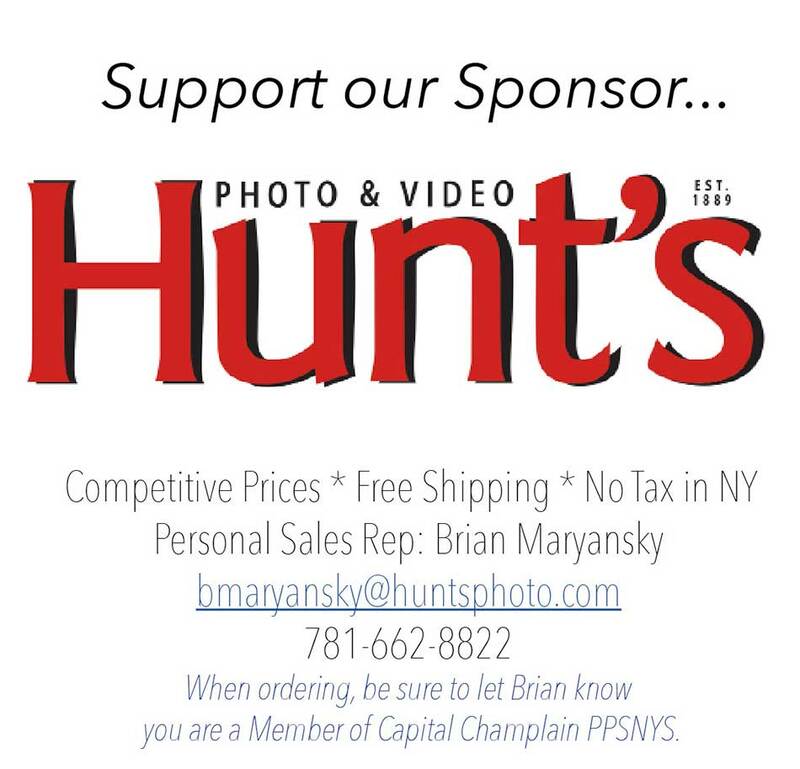 The deadline to submit your images for competition is 1 week from today… March 17th, 2018 at 9:00 PM. Are you ready? REMINDER- We don’t have our regular monthly meeting this month because we will be attending convention. See you there! 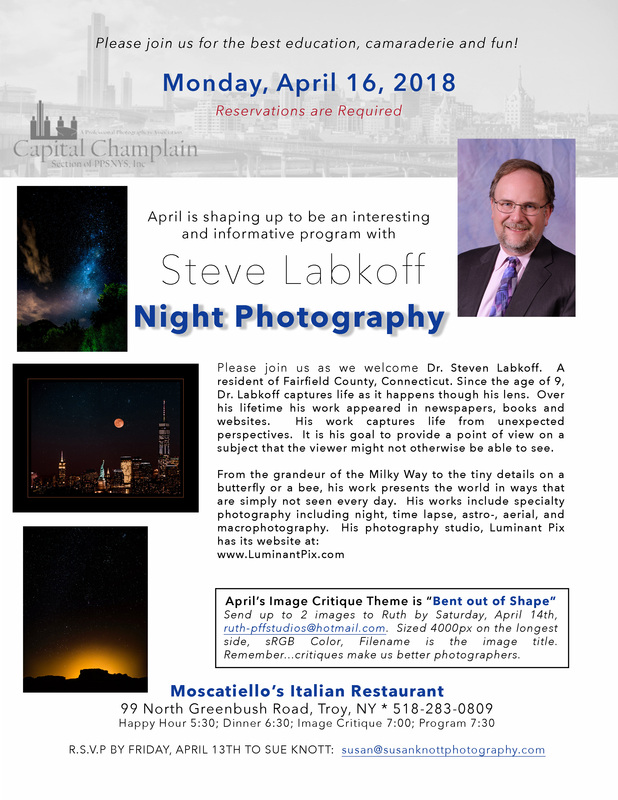 Next month we are pleased to be having Steve Labkoff as our speaker. His program will be on night photography. Details in the flyer attached. Reminder, the clock is ticking…. 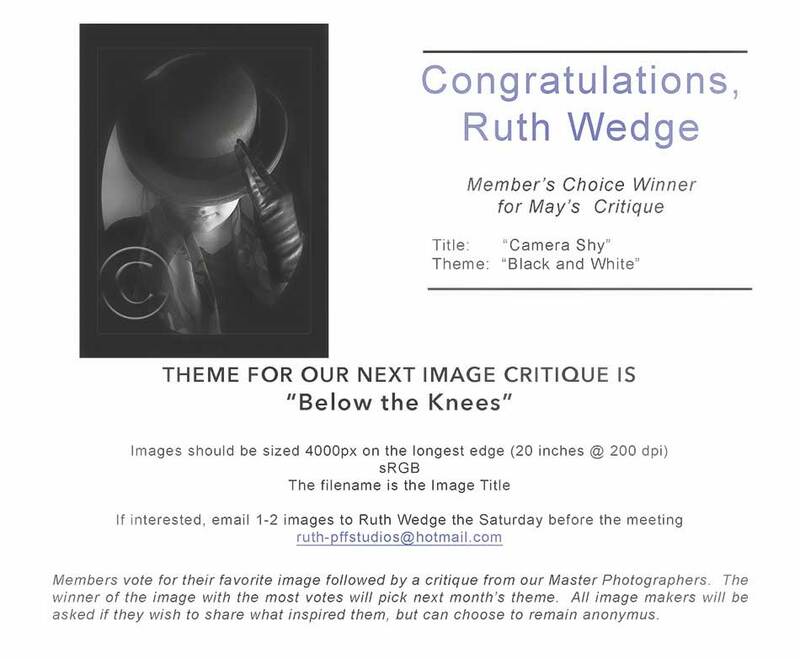 Just a reminder to submit you images to Ruth at ruth-pffstudios@hotmail.com for our meeting on the February 19th. Details below. Reservations are required. 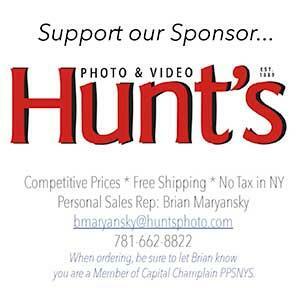 Please RSVP to Susan at susan@susanknottphotography.com. 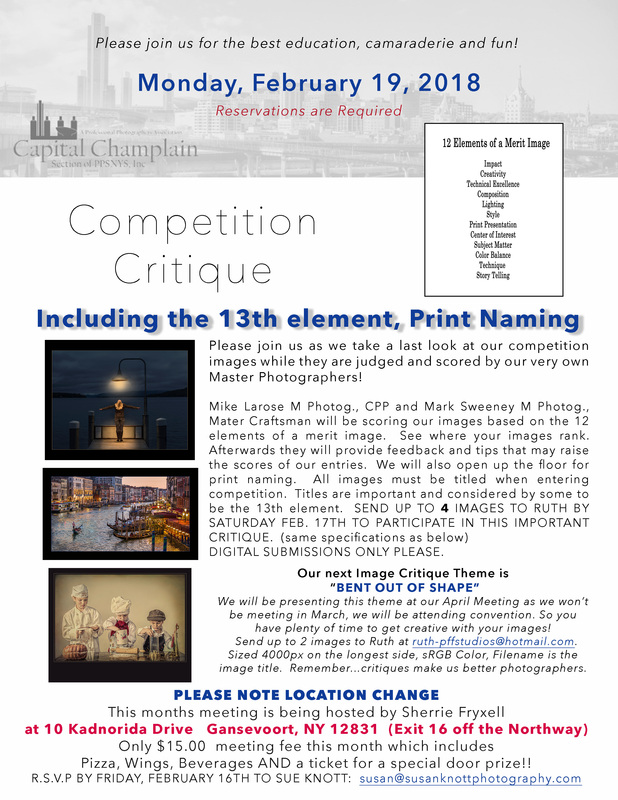 Entering image competition helps you improve your craft. Even if you aren’t entering this year come and join us and learn from others. MEETING AT SHERRIE’S HOME THIS MONTH, DETAILS BELOW!